Today I am going to share my thoughts on the Hello Kitty Body Spray - Diversion(Fun). Summer season is around the corner and we all need a good body spray and most importantly an effective one. I purchased this body spray mainly because of it's cute packaging.Read on to know my experience. Hello Kitty is a character produced by Japanese company Sanrio and created by Yuko Shimizu.It's very famous among the youngsters and adults.Kids do like Hello Kitty cartoon character too apart from the cute soft toys that the Hello Kitty company manufactures. 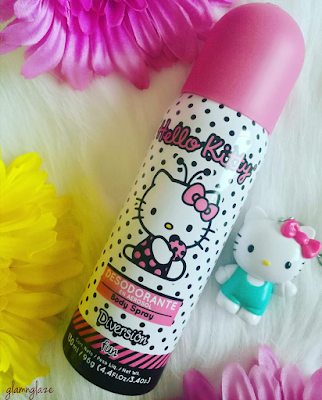 "Originally aimed at pre-adolescent females, Hello Kitty's market has broadened to include adult consumers. She can be found on a variety of products ranging from school supplies to fashion accessories and high-end consumer products. Including various diamond necklaces. Several Hello Kitty TV series, targeted towards children, have been produced. Hello Kitty is also the main character at the two Japanese Sanrio theme parks, Harmonyland and the indoor Sanrio Puroland. She has a playful and funny character and is kind, but not overly sentimental." Sensiva SC 50 and Triclosan. Spray over skin preferably after bathing. Avoid contact with eyes or sensitive areas. The deodorant's effect lasted on my skin throughout the day.It's awesome. I usually spray the deodorant only once on moist skin(under-arms) and by the end of the day I noticed that it's effect was still there.I use this product daily. The effect stays throughout the day! No, generally I try not to use alcohol-based deodorants. But, I recommend it to people who want to check out a good floral-scented deodorant body spray. 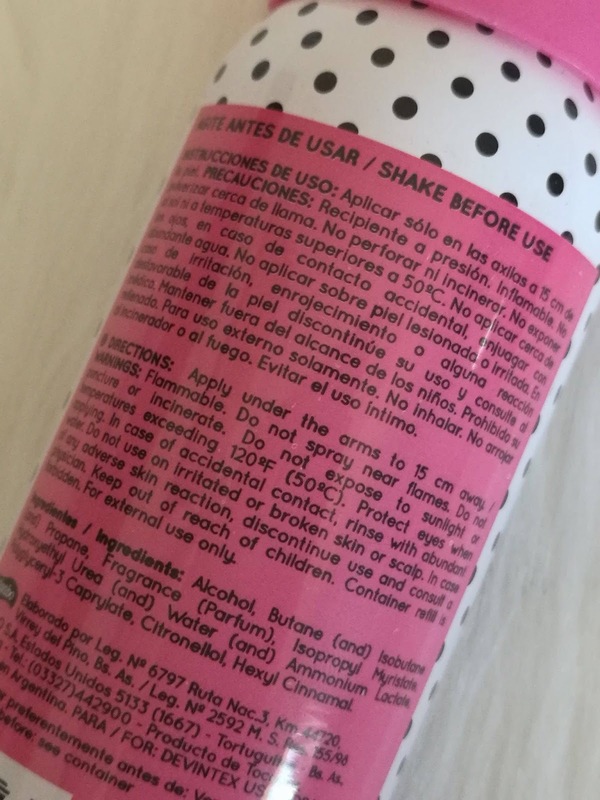 Don't forget that this product contains ALCOHOL.Know your skin type.If you do have a very sensitive skin then skip this product. Available in Boots Pharmacy Middle East & Hello Kitty By Sanrio stores.